With constant rain, fog, and snow, the residents of Elmont are no strangers to the different forms of water, which makes them more susceptible to water damage than most places, and that is why people rely on the skills our our water damage Elmont team with 911 Restoration Long Island for everything. This is why our water damage Elmont pros have decided to push the envelope in restoration services and we are always standing by, because accidents do not take a break and neither do we. These are all ways in which we assure homeowners that they will receive unparalleled care when it comes to delivering them from burden. You can call our experts virtually any time, because our water damage Elmont professionals are available 24/7/365. Once our staff get the details of your circumstances, our technicians will be be at your door within 45 minutes. Call our agents as soon as you notice any moisture or water stains in your home, and our water damage Elmont specialists will arrive quickly to start the process off with a free home inspection. It is impossible to coat your home in a shield that will deflect all incoming moisture and water, but there are simple steps a homeowner can take in preparing their home for a water accident. For example, the scenarios presented earlier can be best prepared for by homeowners if they are mindful of the way water flows away from their home. That is, things such as downspouts, gutters, and run offs could all be contributing to a water problem. And fixing those issues can be as simple as clearing out gutters periodically. Moreover, some solutions require that homeowners just pay attention. Like, when it rains check to see where the water flow is going. If you see your downspout directing water to your crawlspace, then the most immediate solution to that would be doing something as easy as redirecting it 10 fee from the home. The more complicated solutions to something like ice damming would be to provide adequate insulation to the roof of your home, so that the melting snow does not refreeze at the end, so that it can simply melt off. Or, clearing your roof once snow pack starts will also keep water damage away from your roof. Accidents are not always avoidable, or else they would not be called accidents, so if you experience water damage, then call our water damage Elmont team at 911 Restoration. Most of the time, after a water damage, insurance companies urge customers to go with a restoration company on one of their pre-approved lists. You should not go with those companies, as they are most likely cutting corners, such as not having the proper certificates that prove to homeowners that they are capable of taking on a job. Our water damage Elmont pros care about our customers, and we do everything we can to ensure that everything they would want is manageable by 911 Restoration. We are Water Restoration Technician certified, in order to prove to customers that water damage Elmont techs can handle the toughest of water remediation needs. 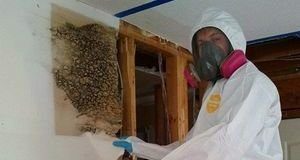 On top of that, our water damage Elmont workers also are certified in mold decontamination and microbial treatment because that is what water damage demands. To elaborate, water can be vacuumed up and dried, but there are some underlying problems such as mold growth and germs that proliferate with moisture. Drying the area is not good enough when it comes to these pesky and odious troublemakers. Instead, our water damage Elmont teams treat the area with sanitizing chemicals to ensure that any microscopic life form will not linger to remind you of the day disaster struck. If you are in need of an team, then call the water damage Elmont team with 911 Restoration Long Island for expert care that you can count on today!